"Pampers believes every child was born to be wild. We want to help parents embrace and celebrate their curious, active babies’ wild moves without hesitation – and we couldn’t think of a more perfect parent to help us on this mission than Serena Williams"
CINCINNATI--(BUSINESS WIRE)--Dirty looks, shaking heads, side-eye—these are just a few of the reactions every parent who’s taken an active baby out in public has experienced. Whether it’s a sprint down the grocery aisle, a shopping mall dance break, or a downward-dog during an elevator ride, an active baby is often labeled as a “wild child” and many parents find themselves apologizing for their child’s innate desire to move and explore in public places. In fact, nearly 75% of parents believe that society perceives a “wild child” as a bad thing*. But Pampers and tennis legend, entrepreneur and super-mom to her very own active baby, Serena Williams, believe that every child is born to be wild. Together, they’re encouraging parents everywhere to unleash their active babies without the fear of judgment and with the help of new Cruisers 360 FIT diapers, because a busy baby is a growing baby and that’s something to be celebrated. In a recent study, Pampers discovered a staggering 84% of parents wish their children could explore the world more freely without being judged. 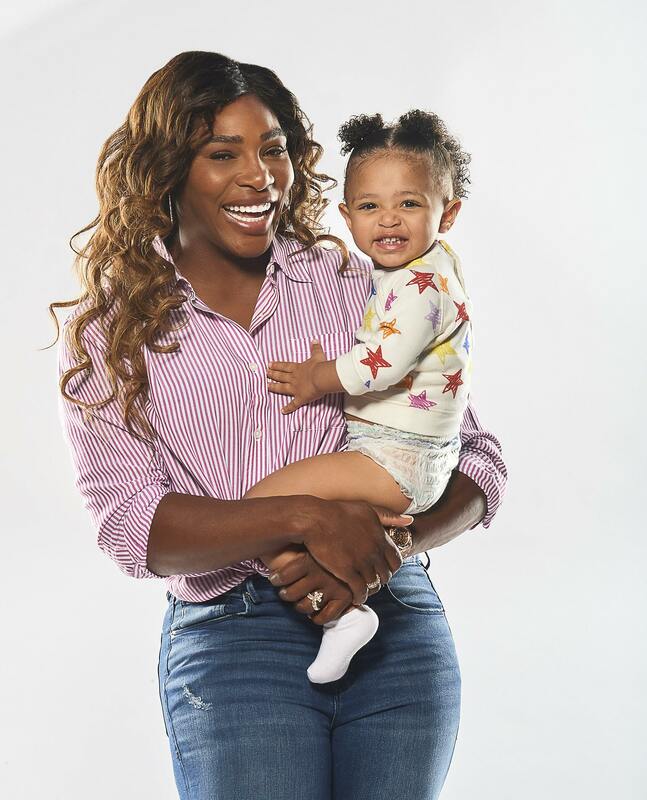 In her new role, Serena will encourage parents to ignore the side-eye and embrace their babies' and toddlers’ wild side with help from new Pampers Cruisers 360 FIT diapers. 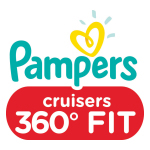 Pampers Cruisers 360 FIT diapers feature no-tapes and a comfortable all-around stretchy waistband specifically designed to adapt to every wild move a baby makes – it’s just like they’re wearing yoga pants. In another win for active babies, Cruisers 360 FIT diapers are easy to pull on and take off so every wild child can quickly move on to their next adventure. Watch the new #WildChild video starring Serena and Olympia here and share your wild child’s moves with @PampersUS using #WildChild #Cruisers360. Nearly 75% of parents believe that society perceives a “wild child” as a bad thing. 84% of parents wish they could let their child(ren) explore the world more freely without them being judged. Nearly all parents (97%) believe children can learn skills from being a wild child. The skill parents most believe children can learn is creativity (81%). 65% of parents believe their child(ren) are more active than a professional athlete. 60% of parents have had to or felt the need to apologize for their child(ren) when they are doing something in public i.e. off exploring or climbing on something. 360º Stretchy Waistband: An all-around stretch provides an adaptive and comfortable fit. Easy On and Easy Off: Pull the diaper on and tear along the sides to take it off. Then roll it up, secure with the tape and toss. Softness: Crafted with luxurious material that is super soft like cotton. Air-Dry Channels TM : For breathable dryness and up to 12 hours of protection. Dual Leak-Guard Barriers: Gently seals around baby’s legs to protect where leaks happen most. Safe for Baby’s Skin: Dermatologically tested, clinically proven hypoallergenic and gentle for baby’s delicate skin. Independently reviewed and accredited as skin safe by the Skin Health Alliance. 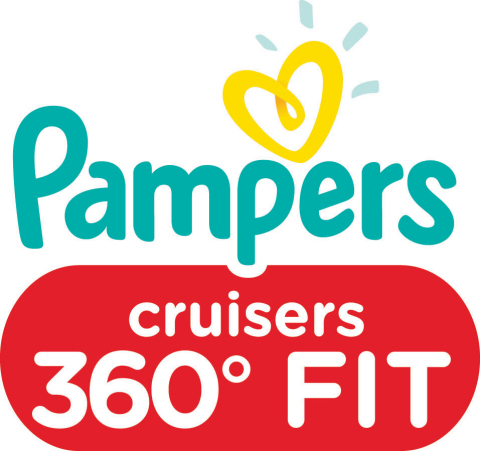 Pampers Cruisers 360 FIT diapers are available in sizes 3 through 6 for a suggested retail price starting at $11.99. Diaper counts per pack vary by size. Pricing is at the sole discretion of the retailer. The diapers are now available online and at major retailers nationwide. For more than 50 years, parents have trusted Pampers to care for their babies. 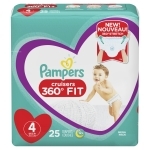 Pampers is a part of The Procter & Gamble Company (NYSE:PG) and is the #1-selling diaper worldwide. Every day, more than 25 million babies in 100 countries around the world wear Pampers. 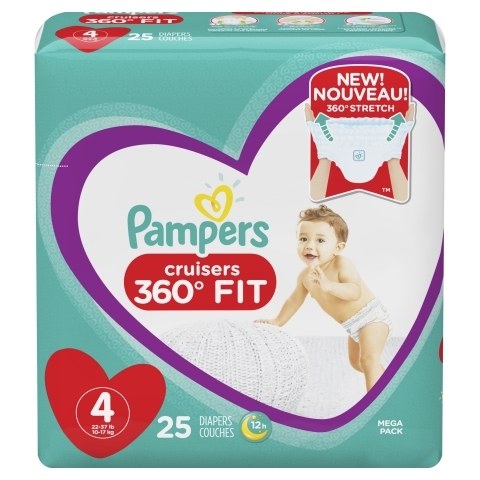 Pampers offers a complete range of diapers, wipes and training pants designed to provide protection and comfort for every stage of baby’s development. Visit www.pampers.com to learn more about Pampers products, join the Pampers Rewards program, and find ideas and information to help you and your baby ‘love the change’ together. *According to a recent survey of 1,000 U.S. parents of children aged 6-24 months by Wakefield Research for Pampers.